If you have any questions about the MOON RIVER information page below please contact us. West Bay Sonship Yachts completed the building motor yacht MOON RIVER in 2001. Accordingly, she is built in Canada. MOON RIVER had design completed by Jack Sarin and Jack Sarin. This superyacht MOON RIVER is able to accommodate a maximum of 8 guests aboard and 4 qualified crew. Launched to celebration in the year of 2001 the recent interior decoration illustrates the capabilities which are originating from Glade Johnson and the owner who commissioned the yacht. Jack Sarin was the naval architect involved in the formal superyacht design work for MOON RIVER. Also the company Jack Sarin successfully worked on this undertaking. Interior designer Glade Johnson was commissioned for the overall interior ambience. 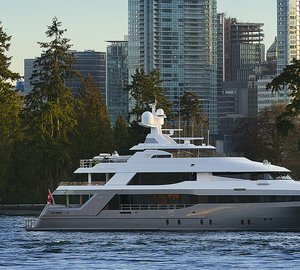 Canada is the country that West Bay Sonship Yachts constructed their new build motor yacht in. After official launch in 2001 in Delta Bc she was then handed over to the happy owner having completed sea trials and testing. Her hull was built out of composite. 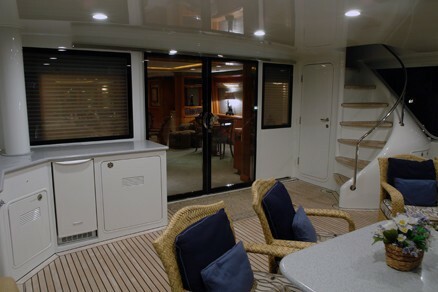 The motor yacht superstructure is fabricated extensively using composite. 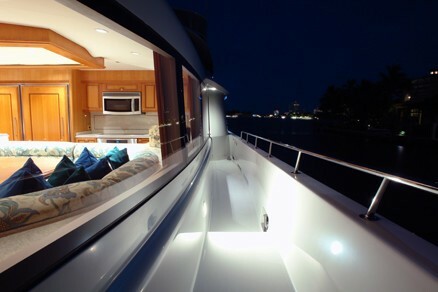 With a beam of 7.32 m / 24 feet MOON RIVER has reasonable internal space. A reasonably shallow draught of 1.62m (5.3ft) determines the number of worldwide ports she can enter into, contingent on their specific depth at low tide. She had refit improvement and changes completed in 2004. The 12V 2000 M90 engine installed in the motor yacht is produced by MTU. Her propulsion units are twin screw propellers. The main engine of the yacht creates 1350 horse power (or 993 kilowatts). She is fitted with 2 engines. The total thrust for the yacht is therefore 2700 HP or 1987 KW. 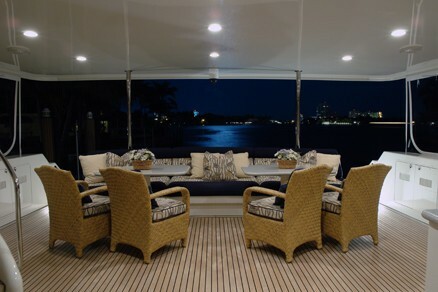 Apportioning space for a maximum of 8 yacht guests overnighting, the MOON RIVER accommodates them in luxury. The boat has room for circa 4 professional crewmembers to maintain and sail. Cruisair is the brand of air-con utilised in this ship. 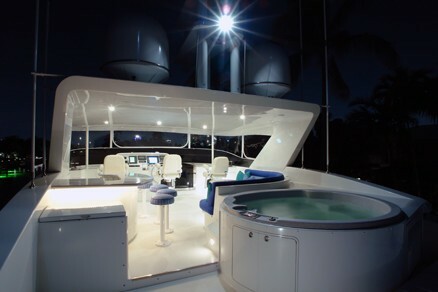 The luxury yacht MOON RIVER displayed on this page is merely informational and she is not necessarily available for yacht charter or for sale, nor is she represented or marketed in anyway by CharterWorld. This web page and the superyacht information contained herein is not contractual. All yacht specifications and informations are displayed in good faith but CharterWorld does not warrant or assume any legal liability or responsibility for the current accuracy, completeness, validity, or usefulness of any superyacht information and/or images displayed. All boat information is subject to change without prior notice and may not be current.